If you need front bumpers or oem front bumper cover, then UneedAPart.com's locator service is for you! UNAP can help you search and find front bumper replacement for cars, trucks and vans. You can search and find all types of front bumpers, used front bumpers, front bumper covers and oem front bumper! Our nationwide network of car salvage yards, car recyclers, car wreckers, and junk yards carry loads of new, & used front bumpers. 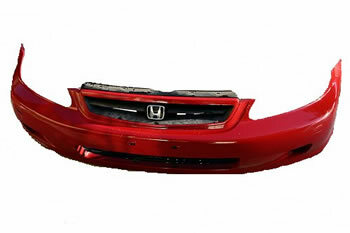 We are your source for finding front bumpers and front bumper covers online. To find used front bumpers please select the Year and Make of your vehicle from the drop down menu above and click Next Step.